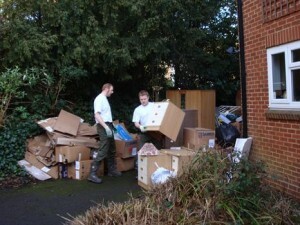 Are you looking for house clearance Plaistow? We can help! We’ve been supplying house clearance Plaistow home owners trust for over a decade. They love us for our flexible services and low prices and we think you will too! As we go through life, we seem to acquire more and more things; at one time, for example, the ‘average family home’ would have had one television set… now, there can be several TVs, along with various other pieces of equipment such as computers, the family bikes, unwanted toys and much, much more. With time precious, these items – broken and otherwise – tend to be ‘stored’; the favourite storage spot is the garage, as well as the loft or cellar. However, there comes a point where, in the ‘average family home’, more space is needed; these items need to go but how to get rid of them? For some people, opting for a house and garage clearance in Plaistow E13 is a sad, emotional time as they deal with the estate of a deceased relative; for other people, clearing a property may be to make it ready for sale or rent. Regardless of what your reason for a house and garage clearance in Plaistow E13 is, when faced with a mountain of items to move – from furniture to broken toys – it can seem too big a job. But rather than brush it aside, get in the professionals and within days, you will be clutter free with space in garage to store things once again! What items can be remove? Bathroom items, including baths, toilets, shower trays etc. What kind of properties can we clear and empty? 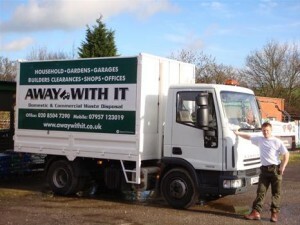 We can help in all kinds of situations; from emptying the whole of a property to removing a few bulky items. No items is too large or awkward as we have the right equipment, vehicles and trained staff to deal with most things. We can also work in houses, flats, apartments and garages where access is difficult or restricted; we do not place restriction on climbing stairs. We can also empty loft spaces and cellars too as part of a house and garage clearance in Plaistow E13. To speak to one of our experienced team members about your requirements for house clearance Plaistow give us a call on 0208 504 7390. We’ll be happy to answer any questions and offer you a free no obligation estimate. Alternatively you can get in touch using our easy online enquiry form and we’ll get back to you the same day. 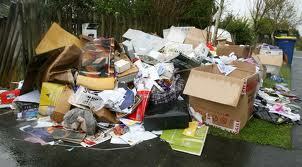 Call us today to find out more and get a detailed, no obligation quote for a house and garage clearance in Plaistow E13.